I’m thrilled to share the never before seen cover of my good friend Robert Bryndza’s latest book. It looks hilarious and if his hugely Coco Pinchard series is anything to go by we’re in for a treat. Check out the blurb below and keep your May free for release! Natalie Love has worked hard to have it all: she runs a successful theatre in Soho that’s about to host one of Hollywood’s leading stars. Her biggest supporter is her eccentric Hungarian Gran, and she even has the ‘perfect’ yoga teacher boyfriend – Namaste! Life in the bright lights of London has always been Natalie’s escape from her chaotic country family in rural Devon and Jamie, the childhood sweetheart she left at the altar 15 years ago. With rivalry clouding old feelings, events in Soho bring Jamie and Natalie together in hilarious ways. Gran is loose in the city once more, it seems to be raining sandwiches and records are broken for Burlesque flash mobs. 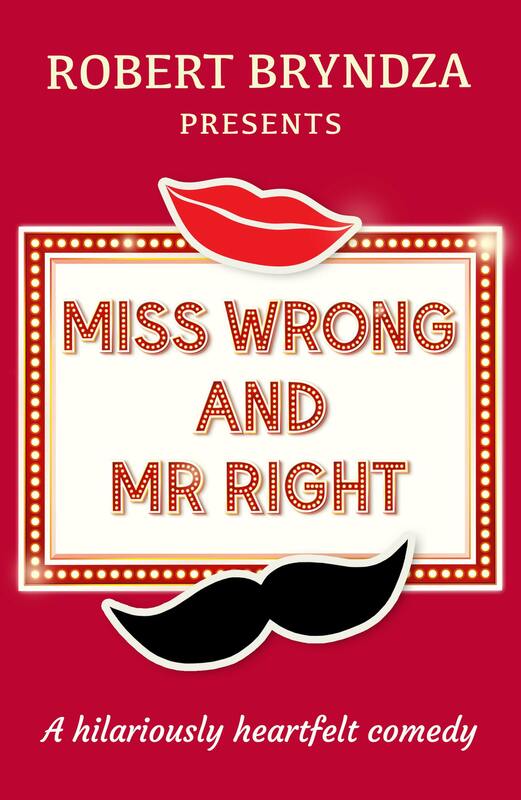 If she can keep her world together, will Natalie discover who is really Mr Right, and that perhaps she isn’t Miss Wrong? From the best selling author Robert Bryndza comes a hilariously heartfelt comedy. This entry was posted in Guest posts, I wish I'd written.... Bookmark the permalink.